A political advisor has called for more preferential policies to boost the Pingtan Comprehensive Pilot Zone (PCPZ), china.com.cn reports on May 4. Gu Shengzu, member of the Standing Committee of the National People's Congress, said on April 23 that China's four free trade zones will serve national strategies, and the Fujian FTZ will focus on cross-Straits cooperation as well as the One Belt One Road initiative. Gu, who is the deputy director of the Financial and Economic Committee and vice chairman of the China Democratic National Construction Association, compared Pingtan to Shenzhen, a former fishing village before the country's reform and opening-up which is now an economic powerhouse. Pingtan and Shenzhen have similar size and population. One is close to Taiwan and the other to Hong Kong. Although Pingtan has succeeded in attracting investment and made big strides in infrastructure over the past few years, it still lacks popularity and supporting industries, leaving much room for imagination and possibilities, said Gu. Pingtan is now to follow China's modern Maritime Silk Road strategy, developing itself into an international tourist resort and a free trade port concentrating investment, trades, finance, shipping and personnel exchange, while enhancing education, culture and services, he added. Gu also made proposals at the meeting appealing for more favorable policies. To help Pingtan become a tourist island, he suggested implementing offshore duty-free shopping and relaxing purchasing rules. The local Taiwan Commodity Market can expands its business by adding cosmetics, health products, computer and electronics products with a raised cap for duty-free purchases. Mainlanders from outside Pingtan can apply for Taiwan travel permits in Pingtan. And Taiwan residents can stay in Pingtan for up to 30 days without a visa. 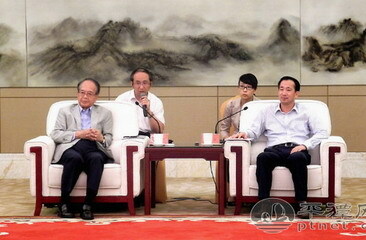 Pingtan, in reference to the Hainan Island, can provide visa-free entry for more foreigners, he added. In terms of cross-Straits cooperation, he advised that cosmetics and health products from Taiwan be allowed to hit the market in Pingtan after examination. Taiwan books, newspapers and magazines can be issued here too. Local financial institutions could pilot direct settlement of Renminbi and the New Taiwan Dollar to allow the free flow of the two currencies. Last but not least, commerce in Pingtan will get a lift, too, as Gu noted that Pingtan can become a national experimental zone for outsourced services and a quarantine and inspection center. More incentives will be rolled out to encourage cross-border online business.